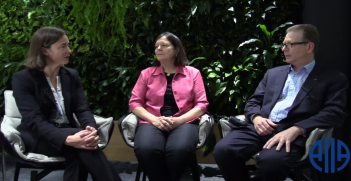 The recent story of Australian coal being “banned” from China is a cautionary warning about the risks of making quick-fire judgements when dealing with complex Australia-China relations. 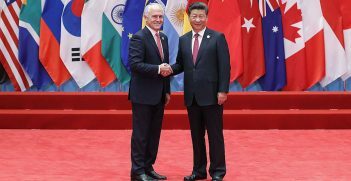 Australia is managing a relationship with by far its largest trading partner at a time when its security ally is settling on a more adversarial stance towards China. Yet the Trump administration’s approach also doesn’t preclude reaching a major economic deal with China, which could crowd out Australian exports, as well as leave Canberra exposed over earlier decisions such as barring Huawei from the rollout of the 5G network. Mature diplomacy, along with nuanced commentary and analysis is required. This was missing from interventions such as that offered last week by Peter Jennings, the head of the Australian Strategic Policy Institute (ASPI). Deloitte economist Chris Richardson observed that fears such as those expressed by Jennings led to the Australian dollar losing three-quarters of a cent and $10 billion dollars in Australian share market valuation being wiped out. Standing in contrast were the more cautious assessments provided by the Prime Minister, Treasurer, Trade and Investment Minister and Governor of the Reserve Bank. All emphasised not jumping to conclusions and the need to await further information. After follow up by the Australian embassy in Beijing, reports of a “ban” were promptly hosed down. Australian coal was facing longer than usual delays, but there was no “ban,” nor was Australian coal being singled out. Certainly, commentators can point out that China has used economic means to punish other countries over political disagreements in the past. Perhaps the clearest recent case was in 2017 when in response to Seoul agreeing to deploy a US missile shield, Chinese tourist numbers to Korea plunged and Korean businesses in China were subject to ad-hoc “safety audits” and ordered to “temporarily” close. And given ongoing challenges in the bilateral relationship, the possibility of Australia facing retaliation for its choices needs to be taken seriously. But to lump the Australian coal case into the same category as Korea in 2017 was a stretch. 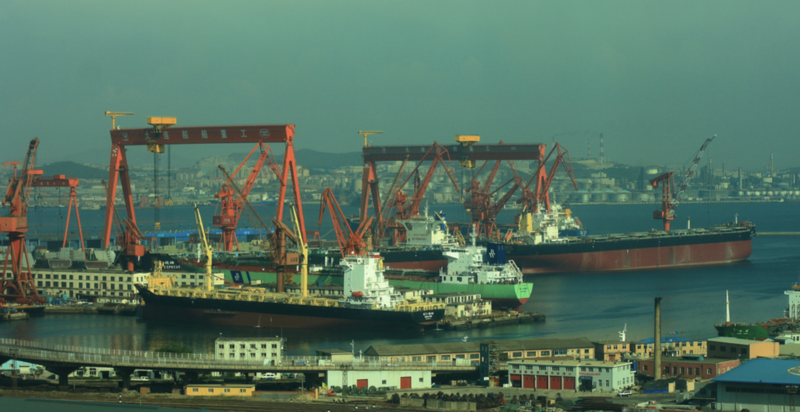 This is not the first time that Australian coal has faced temporary delays getting into China. More plausibly, aside from the environmental justifications cited by the Chinese Foreign Ministry, these incidents reflect efforts to support domestic Chinese coal prices rather than punishing Australia over political disagreements. Protectionism would still be unacceptable from an Australian perspective, but it would also not be unusual on an international level. In fact, World Trade Organization (WTO) data show the country currently initiating the most trade restriction measures is the US, not China. Similarly, it is the US that is undermining the ability of the WTO to independently adjudicate on trade disputes, an essential component of the rules-based international order on which smaller countries like Australia rely. The rationale for economic coercion also only gains currency if the country considering dishing out punishment believes it has a likelihood of success. But what evidence is there that Australia is ready to cave in to Chinese pressure? Some of the often-cited examples of Chinese economic coercion, such as that directed at Japan involving rare earth metals in 2010, also turn out to be far less convincing when subject to scrutiny. Repetition of a claim is not a substitute for facts and evidence. Since August 2018, and following an uncharacteristic flurry of negative and undiplomatic rhetoric directed at China by the Australian government over the preceding 18 months, the Turnbull/Morrison government has reverted to a more traditional approach to managing Australia-China relations. Morrison termed it the “John Howard approach,” that is, working with China on areas of mutual interest and benefit, and setting aside differences. To be sure, this does not mean kowtowing to China or failing to vigorously protect Australia’s national interests, including in response to new developments such as a China under Xi Jinping that more aggressively pushes its interests abroad. The Howard approach doesn’t preclude actions such as blocking Chinese investments on the advice of security agencies or the introducing tough new laws aimed at staving off untoward foreign interference. But it does mean accepting it is in the national interest to maintain a productive relationship and avoid needlessly irritating a country responsible for sustaining hundreds of thousands of Australian jobs in mining, agriculture, tourism and education. The Australian government understands that knee-jerk diplomacy won’t cut it. Knee-jerk commentary doesn’t help either. And repeat offenders need to be challenged about whether they are really acting in the national interest. Professor James Laurenceson is deputy director of the Australia-China Relations Institute (ACRI) at UTS. He has previously held academic appointments at the University of Queensland (Australia), Shandong University (China) and Shimonoseki City University (Japan). His research has been published in leading scholarly journals including China Economic Review and China Economic Journal. As tensions continue to escalate on the Korean Peninsula, what weight can China bring to bear on Pyongyang? 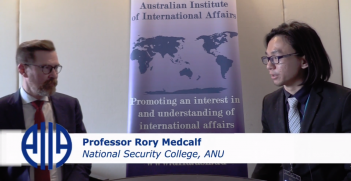 Australia's security environment is becoming more complex, with a blurring of lines between domestic national security and international security issues. An Alternative to the Rules-Based Order? There’s a fundamental problem in Australia's relationship with China: China’s growth advances prosperity but menaces security. If the rules-based order construct does not suit volatile times—and balancing threatens war—is there an alternative?